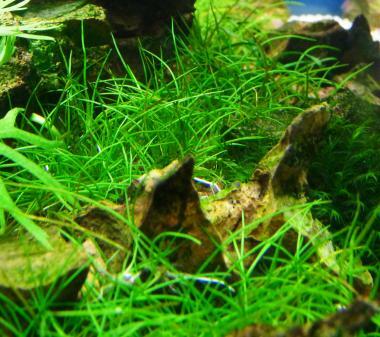 A particularly beautiful, low growing dwarf needle ledges which is often bought as a grass-like ground cover. 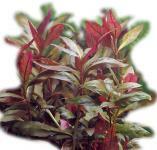 They need not necessarily be cut and therefore is ideally suited for small nano aquariums. Planted in small tufts grows the Eleocharis sp. Mini into a dense, lush lawn together. She needs a good lighting, but she grows even satisfactory with little light. She must rarely become cut. Sufficient light up on the bottom is, however, necessary in order Eleocharis sp. Mini - In-Vitro aquarium plant grows beautifully tight. CO2 is not absolutely necessary.